Winnipeg’s parks and greenspaces are an essential component of the urban fabric that encourages and promotes healthy lifestyles, cleaner environments, civic pride and urban beautification. Parks improve our physical and psychological health, strengthen our communities and make our cities and neighbourhoods more attractive places to live and work. Ensuring our parks are clean, green and vibrant is a priority of mine, and I’m pleased to provide an update on the progress of several major park improvement projects currently underway, specifically within the South Winnipeg-St. Norbert ward. These major projects are in additional to regular, ongoing park upkeep and maintenance. While some of this work was delayed by the heavy rains we received this summer, it is moving forward as planned! King’s Park: This popular park is one of the two Regional Parks in our ward. Centred on our City’s valued rivers and urban forest (our ‘ribbons of green’), Winnipeggers have demonstrated an emotional connection to these greenspaces. Many park upgrades are currently underway this construction season: trailhead signs have already been installed; pathway restoration work is underway; benches will be installed, and a new pathway leading to King’s Park, alongside Kilkenny (from Radcliffe to King’s Park), will be completed this fall. For the longer term vision, please see the King’s Park Existing Facility Review and Reinvestment Strategy. La Barrière Park: As the second Regional Park in our ward, the City has recognized that strong park planning design and management is required. At La Barrière Park, following community consultations last year, a park management plan and a washroom upgrade is underway. Construction of the washroom is anticipated to commence this fall. Kirkbridge Park: A multitude of improvements are underway: upgrading the asphalt pathway; installation of distance markers; four accessible benches (with arm rests); new park signage; tree plantings; and two seasonal washrooms. I will be presenting specific details and construction timelines at the next meeting of the Richmond West Neighbourhoods Association, taking place at 7:30 p.m., on Wednesday, July 27 at Sobey’s Community Room, 2850 Pembina Highway. Bridgwater Fountain and Greenspace Upgrades: A new water tank has been installed, and the fountain will continue to be tested for reliability over the next few weeks. 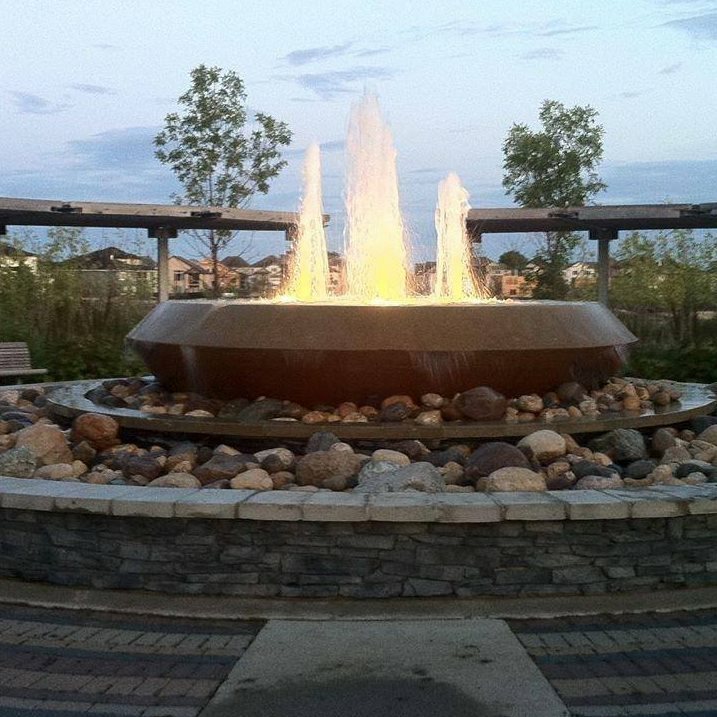 Once the fountain is fully operational, a $100,000 landscape restoration around the fountain will commence, consisting of paving stones, landscaping and shrubbery. In addition, as a short-term solution for maintenance of the many shrub beds in Bridgwater Forest, we are piloting a program to refresh and renew the beds, with the support of Take Pride Winnipeg! 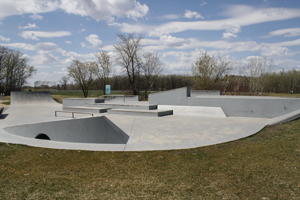 Skateboard Park: The expansion of the extremely popular skateboard park at 205 Killarney Avenue (beside Acadia School) is moving ahead, with the formal opening planned for Sunday, August 7. Please watch my website for details! Tennis Court at Ecole Bonnycastle School: Land surveys have been completed, and staff are preparing the drawings and specifications. Construction will occur over the summer and into fall. Get ready to play pickle ball! 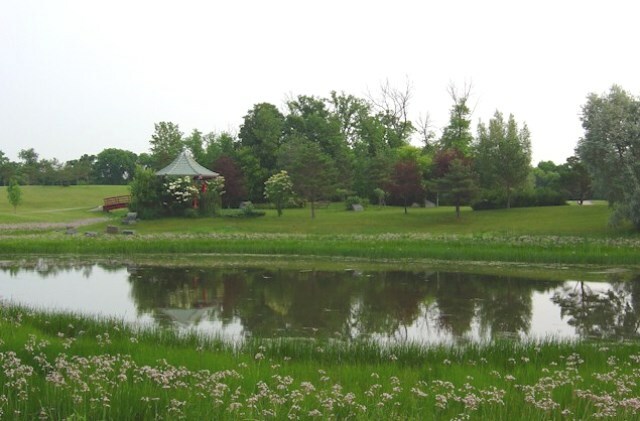 Retention Ponds: In summer, retention ponds across Winnipeg require ongoing maintenance. The City maintains structures in these ponds (i.e. pumps, wells, and gates), and treats aquatic vegetation when necessary. Typically, the older the pond, the more nutrients it will contain (i.e. phosphorous and nitrogen). As many of the ponds in our ward are of an older design, they contain higher nutrient levels, which results in increased growth of algae and submerged vegetation. To learn what you should do when this occurs, visit Maintenance of Retention Ponds.